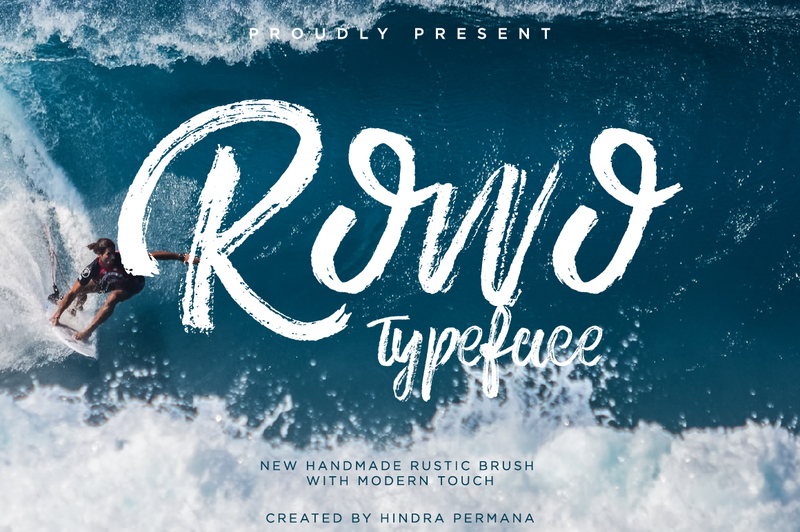 Rowo Typeface is a handmade typeface created by Hindra Permana which has a rustic brush and offers a natural and modern look. With a wide range of OpenType Features it can be use for logo, title, invitation, newsletter, signage, poster, packaging and other purpose. Have fun! Note: To access the special character you need to programs for support this file such as Adobe Illustrator or Adobe Indesign. A font description published on Monday, November 14th, 2016 in Fonts, ndro by Alexandra that has 2,221 views.